You are here: Home » Harry Potter with Horns? 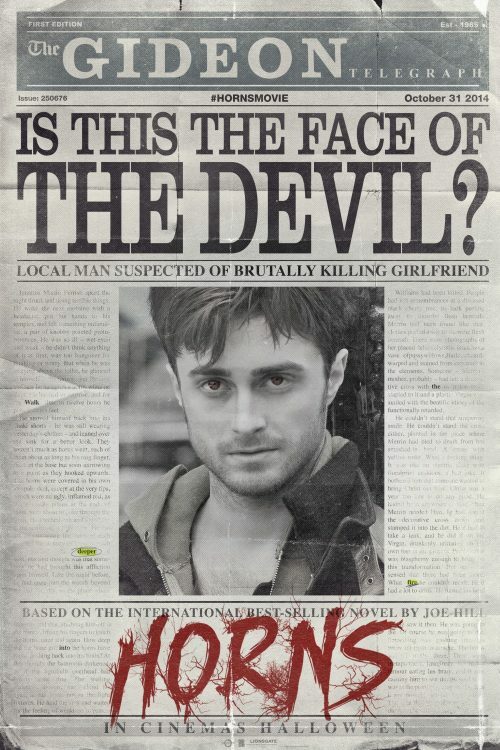 With Harry Potter well behind him, Daniel Radcliffe appears once again in a horror film. 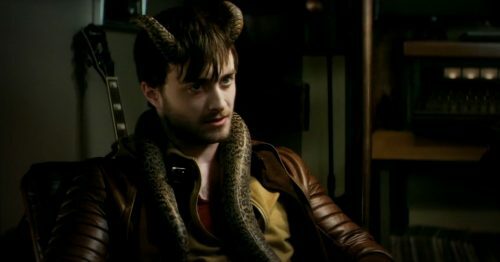 This time with Alexandre Aja’s Horns. The teaser trailer doesn’t seem to give that much away of the film. On the other hand, it does leave you wanting to know more about the story. The below synopsis makes it sound even more intriguing. This is the second, teaser, poster I have seen for the film. The first was released a couple of weeks ago but was asked to be removed. I can’t tell you what the differences from that one to this. One thing I can say is the curious highlighted words that appear and say Walk Deeper into the fire. I assume that this is the tag line for the film but the way it is done does make you start to ask questions. Not only that, the actual newspaper seems to give more behind what happened to Ig and to his girlfriend, Merrin. I would describe it more as a thriller with horror than an actual horror film. With the synopsis it sounds more like a detective story but the supernatual is his method of trying to solve the mystery. The other question is a simple one. Is he the devil or did the devil give him this ability? All will be relieved in the film. Or at east I hope so. The final thing is his horns. I was thinking of small stubby ones but with the below image. A screen grab of the above trailer does make you think about the devil connection that is mirrored in the text on the poster.